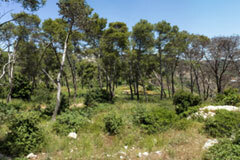 Baabda Forest is a private property owned by the Antonin Monastery in Baabda, directed by T.E.R.R.E. Liban and the association of the friend of the Antonine College. It has been declared a protected forest by private initiative since 1995. The forest lies between longitude 35° 32' 55.72'' E and latitude 33° 49' 44.43'' N and it is situated at an altitude between 100m and 200m. 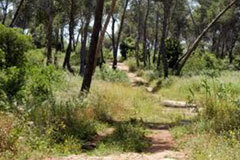 Its overall area is 100,000m2..for more details contact. Note that Baabdaforest with the collaboration of T.E.R.R.E. 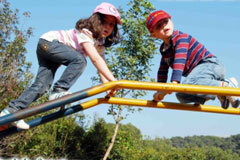 Association organizes eco-touristic activities and tours. Educate young Lebanese to the principles of public health and sustainable development; promote the importance of peace and education in the preservation of natural resources through conferences sung, training of trainers and practical projects. TERRE will push Lebanon Lebanese society, the public and private sectors, and municipalities to adopt the principles of sustainable development and to participate in the protection of natural resources.